Sen. Bernie Sanders (I-VT) is set to release his "Medicare for All" bill on Wednesday, which would create a single-payer healthcare system for the United States. While predictably progressive Sens. Elizabeth Warren (D-MA) and Kamala Harris (D-CA) have already signed on as co-sponsors, they've been joined by a relatively surprising figure: Sen. Cory Booker (D-NJ). 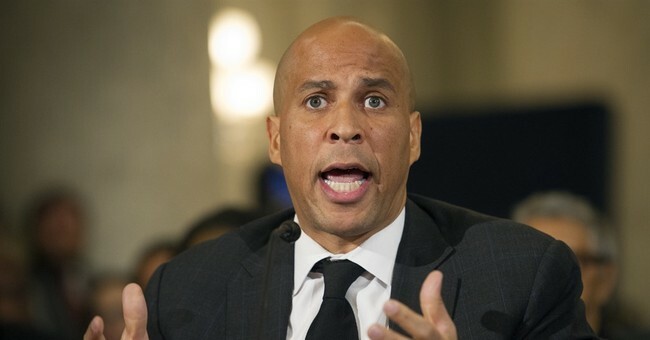 Speaking to NJTV News, booker said that he believed "health care should be a right to all" and that he did not think Obamacare went far enough to ensure that health care is affordable. He has spoken before that he is in favor of a single-payer system. The “Medicare for all” plan has been estimated to cost $1.38 trillion per year and would be paid for with a combination of limiting tax deductions and increasing income tax for the wealthy, according to Sanders’ website. This is a pretty dramatic swing on health care policy in the last few years, even for the Democrats. Still, with the Republican control of both houses of Congress, there's about a zero percent chance that this bill will actually pass. This being said, it's interesting that three people who have been tabbed as potential 2020 candidates are jumping to support Sanders in what will likely be a legislative fool's errand.